I have been teaching both Tiger and Bee to play piano. They can now play a few simple songs and they are so proud of their accomplishments. 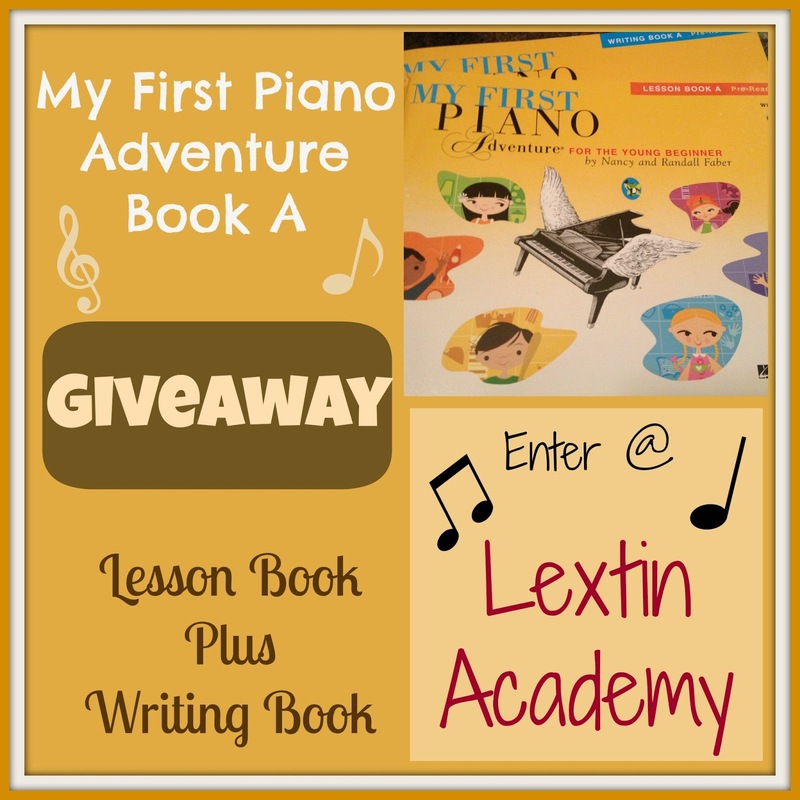 We’ve been using My First Piano Adventure books from Faber and we love them! They are cute, colorful, and introduce music theory, note reading, and composer information. The first two books in the series also come with a CD of accompaniment to the songs. My kids enjoy playing along with the CD as they practice. These books work well even for a parent who does not have a music background as the instructions are very clear, picture directions are given, and all accompaniment is included on the CD. Because we love these books, I’m hosting a giveaway to win the set of Lesson Book and Writing Book for Level A! Mostly I am a singer, but have always wanted to play piano more. We own a piano and I do play a teeny tiny bit… would love for my kids to learn piano! I haven't played an instrument in years but I wish I could play the piano.